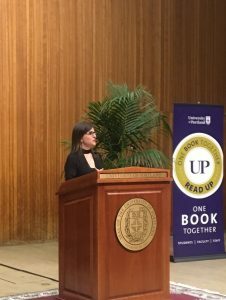 On February 26th the University of Portland hosted best-selling author, Rebecca Skloot, as the 2018 Schoenfeldt Distinguished Writer. She gave an amazing talk addressing everything from her famous book, The Immortal Life of Henrietta Lacks, to goldfish surgery (yes, it’s a real thing!). It was a great event filled with laughter and critical conversation. Here were a few of the big takeaways. For those who haven’t read The Immortal Life of Henrietta Lacks, it tells the story of HeLa cells—the first immortal human cell line in history. These cells came from a poor, black woman named Henrietta Lacks, who was being treated for cervical cancer. The problem was that Henrietta’s doctors took her cancer cells without permission, but this wasn’t actually all that uncommon at the time. According to Skloot, Henrietta’s sample from a tumor the “size of a nickel” gave way to what is, today, 50 million metric tons of live HeLa cells as well as the formation of a multi-billion dollar industry. School wasn’t smooth sailing for Skloot. While growing up in Portland, she got kicked out of several schools. The first time—believe it or not—was in pre-school when she was “expelled for refusing to nap.” In high school, she had a 0.5 GPA because she was too bored to show up. But, these academic struggles are what led her to Henrietta. Skloot “failed biology at the local high school,” so she signed up for a class at PCC. 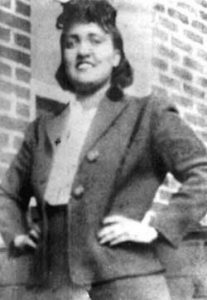 In the class, her teacher wrote out the name “Henrietta Lacks” on the board and shared the only two facts he knew about her: she was the mother of HeLa cells and a black woman. In that moment, Skloot’s curiosity was born. Before becoming a writer, Skloot hoped to be a veterinarian. Throughout college, she had what she now calls “veterinary tunnel vision.” It was totally unexpected when she fell in love with writing during a class that she only took to fulfill a foreign language credit (I guess creative writing does seem “foreign” to some people). However, what ultimately changed Skloot’s career path was the encouragement she got from a professor. As a Portland native, Skloot admitted that the city, which has a historically small African-American population, “struggles with diversity.” Thus, spending so much time with D eborah Lacks—Henrietta’s daughter—was truly an eye-opening experience for Skloot. 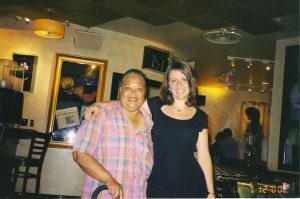 “I went to Deborah’s world, and my time with her taught me so much about race in this country, about what the word ‘privilege’ means, and how I had that. And how being able to walk into places and say [that] I want information was actually a privilege that I had never understood that I had. “A lot of what kept us [Skloot and Deborah] going [with the book] was just curiosity. We were both just really curious, and this is something that I like to tell students. I think one of the most important things you can do in school is learn to recognize your own curiosity and follow that, because it’s so easy to miss it. It truly was a wonderful night full of stories that resonate with every UP student, but for me, the overarching message was this: Don’t be afraid to stray from the path; it may lead you somewhere great.